Havelock North is a suburb of the City of Hastings on the North Island of New Zealand with 14,000 residents. By the end of August 2016, over one-third of the residents of this entire town had been sickened by drinking water contaminated with Campylobacter bacteria, the most common source of foodborne illness in New Zealand.1 How did a wealthy country with national drinking water standards come to experience the largest documented drinking water outbreak in its history? Local health authorities noticed the rising numbers of patients seeking medical treatment for gastrointestinal symptoms at about the same time the Hastings District Council received a positive test for bacteria in the town’s groundwater supply. 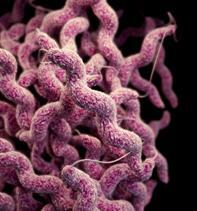 The bacteria were later determined to be Campylobacter. Local officials decided to chlorinate the groundwater shortly thereafter and advised residents to boil water. The latest estimates are that more than 5,000 persons (with over 600 confirmed cases of campylobacterosis) were sickened, with scores hospitalized and two confirmed cases of Guillain-Barré syndrome-a rare neurological illness that can be caused by Campylobacter infection. A detailed timeline of the outbreak is available. On average, New Zealand records about 17 waterborne outbreaks (range from 6 to 27) per year,3 primarily zoonotic diseases that can spread between animals and humans such as through ingestion of water contaminated with feces. The top two are caused by intestinal parasites, Giardia and Cryptosporidium; the third is Campylobacter. The most frequent reservoirs of Campylobacter in New Zealand are sheep, poultry, cattle and swine. Initial reports are that livestock are the most likely source of the Havelock North Campylobacter. Most reported outbreaks in New Zealand are small with an average of about eight affected persons, but larger outbreaks are often traced to animal waste entering a well after heavy rain and receiving no or insufficient treatment. In fact, just days before the first people became sick, the region received three months’ worth of rain in a single weekend-conditions hauntingly familiar to the deadly pathogenic E. coli and Campylobacter outbreak that occurred in 2000 in Walkerton, Canada, where seven people died and thousands fell sick. In Walkerton, heavy rain washed cow manure applied as fertilizer into a municipal well whose chlorinator was not operating due to inadequate maintenance. Similar to Walkerton, Havelock North also relies on a shallow aquifer, but unlike Walkerton, Havelock North was intentionally not chlorinating because their groundwater had been considered “secure” from contamination. In addition to local and regional investigations, an independent government inquiry into the cause of the historic outbreak was announced on August 18, the results of which are expected by March 2017. Similar to the fallout from the Walkerton outbreak, the Havelock North outbreak has raised concerns about the management of public water sources across the New Zealand, including whether chlorination should be required for all groundwater drinking water supplies. Aside from the still unknown but considerable human and societal costs,4 the 2016 Havelock North outbreak is a cautionary tale: Public health officials must be ever vigilant to safeguard drinking water sources from contamination while providing appropriate disinfection. Because chlorine is both economical and effective in killing/inactivating Campylobacter and most other pathogenic bacteria and viruses, it can be viewed as a very inexpensive insurance policy against the high cost of waterborne illness when it is continuously applied at the proper level. Fred M. Reiff, P.E., is a retired official from both the U.S. Public Health Service and the Pan American Health Organization, and lives in the Reno, Nevada, area. 1 On a global basis, the majority of small outbreaks of Campylobacter gastrointestinal illness are due to eating meat that has been contaminated with this pathogen during the slaughtering process. It is noteworthy that most raw poultry is contaminated with C. jejuni, which highlights the need for it to be cooked thoroughly before consumption. 2 Something in the Water – How the Havelock Gastro Outbreak Began. http://www.nzherald.co.nz/hawkes-bay-today/news/article.cfm?c_id=1503462&objectid=11697426. 3 New Zealand Ministry of Health (2007). Estimation of the Burden of Water-Borne Disease in New Zealand: Preliminary Report. https://www.health.govt.nz/system/files/documents/publications/water-borne-disease-burden-prelim-report-feb07-v2.pdf. 4 What’s in our water? The Alarming New Threats to New Zealand’s Drinking Water. http://www.listener.co.nz/current-affairs/social-issues-current-affairs/water-threats-new-zealand/.